Join us for the 15th Annual Wings of Hope Gala. This is our single largest annual fundraiser for our Medical Relief & Air Transport Program – featuring a cocktail hour and dinner, silent and live auctions, and an after party with live music by St. Louis band Mirage. This festive event celebrates the progress of so many who use our wings to reach the care they need to heal and to hope. Your generous support makes their journeys to health possible. For more information or to buy tickets, go to www.wingsofhope.ngo. Wings of Hope Gala press release. 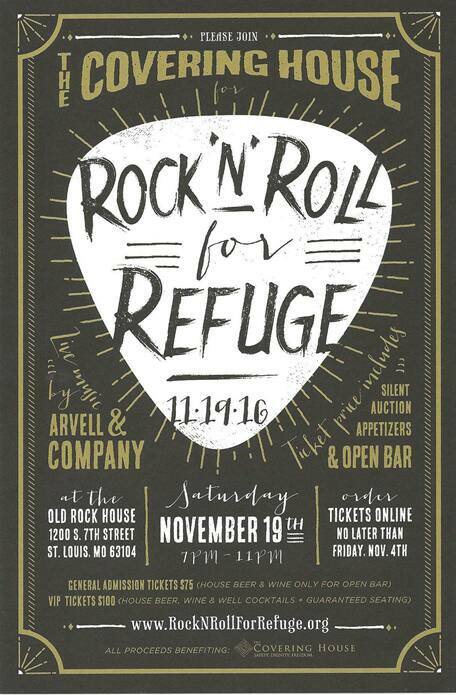 Rock ‘N Roll For Refuge was a party at the Old Rock House with live music by from Arvell & Company, silent auction, a photo booth, savory hors d’oeuvres, an open bar, dancing and more at Old Rock House – 1200 S. 7th Street, St. Louis, MO 63104 General Admission tickets was $75/person and included house beer and wine, heavy hors d’oeuvres and desserts. VIP tickets included guaranteed seating on the upper level, house beer, wine and well cocktails, heavy hors d’oeuvres,desserts and danced to live music all to support of The Covering House! If you were not able to make this rockin event here are some other ways that you can still help: Make a DONATION to The Covering House! Contact mdarr@thecoveringhouse.org today for details or how you can help. 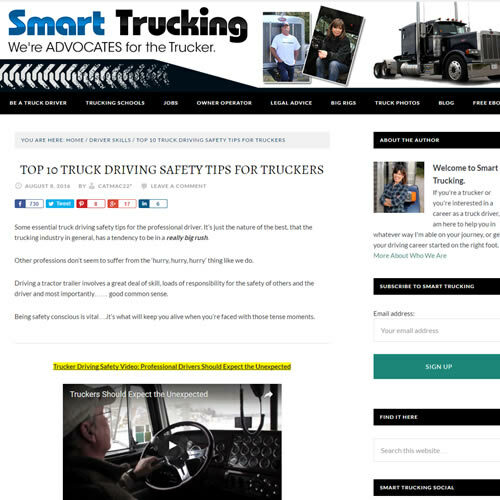 Some essential truck driving safety tips for the professional driver. 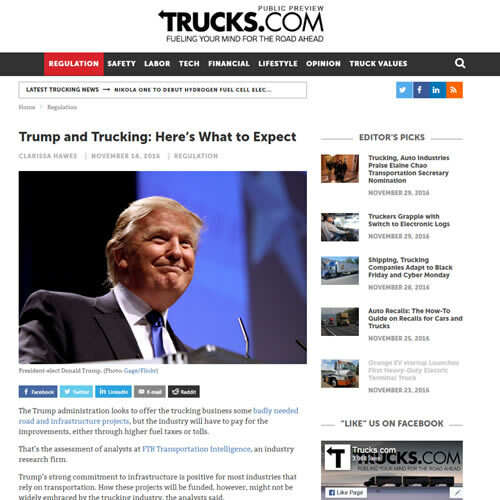 It’s just the nature of the best, that the trucking industry in general, has a tendency to be in a really big rush. Other professions don’t seem to suffer from the ‘hurry, hurry, hurry’ thing like we do. Driving a tractor trailer involves a great deal of skill, loads of responsibility for the safety of others and the driver and most importantly…… good common sense. 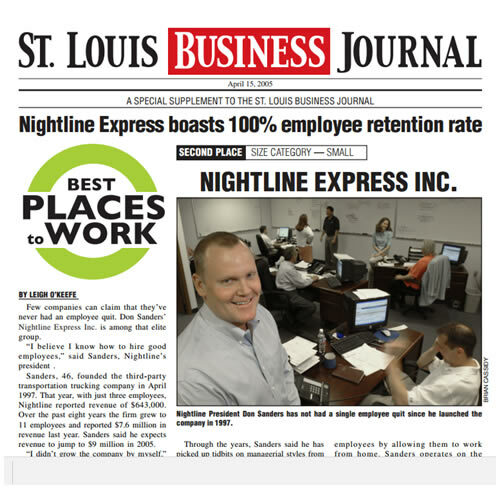 St. Louis Business Journal lists Nightline Express as one of the best places to work.